At the beginning of the 20th Century, in Italy, a criminologist found his investigative keys through clues captured by his photographic works. Those answers have been lost by now, however questions can still get aroused. 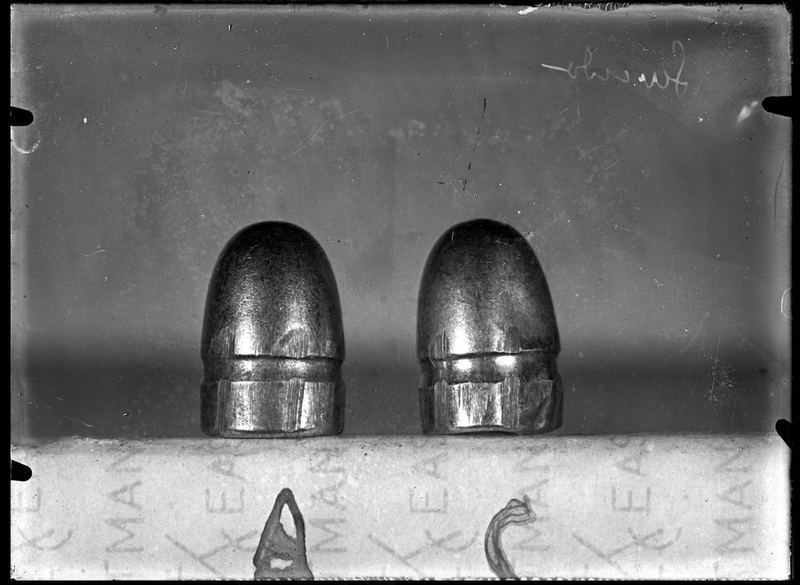 Crime scenes, locations, clues and witnesses is recorded by the innovative forensic photographic technique theorized by French criminologist and anthropologist Alphonse Bertillon (1853 - 1914) and English anthropologist Francis Galton (1822-1911) lead the contemporary metalanguage of an imaginary crime. By de-contextualized historical documents, Clue: Cold offers the visitor the opportunity to unfold his/her own fictional case, without being puzzled by any distorted predetermination. The pictures displayed are just a selection of a vaster collection found almost 30 years ago in a box left in the garbage. The Clue: Cold project has been shown to the public for the first time in London at the "Gallery 1885" with a one month exhibition in May 2014. Afterwards four selected enlargements have been displayed at the London Analogue Festival. Unlike the previous exhibitions, the installation presented at ANALOGICA wants to show a more conceptual approach on the visual experience: From left to right the raw evidence of a death get fragmented in the point of view of the investigation, where all the clues compose the complete scenario. All the prints are hand-made directly by the curators on fiber based silver gelatine paper. Mino Tristovskij is an independent photographer researching in youth culture and alternative photography. Recently working for the music industry, he is now focusing on analogue photography and traditional methods. He studied sociology and cultural industry at "La Sapienza", University of Rome. Stefano Amoretti has left Italy to study Creative Industries at the City University of London. He is a film producer for an independent company but spends much of his time on photography research. He is particularly inspired by ancient processes and alt-photography.